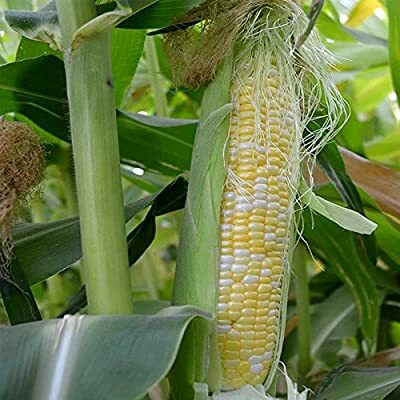 Peaches and Cream Hybrid Corn Seeds (treated). 83 days. Full season fresh market bicolor corn. Designed for fresh market, roadside stand, and home garden. Ears are 8.5 inches long with 18 to 20 rows. Good for home freezing. Approx. 150 seeds/oz.